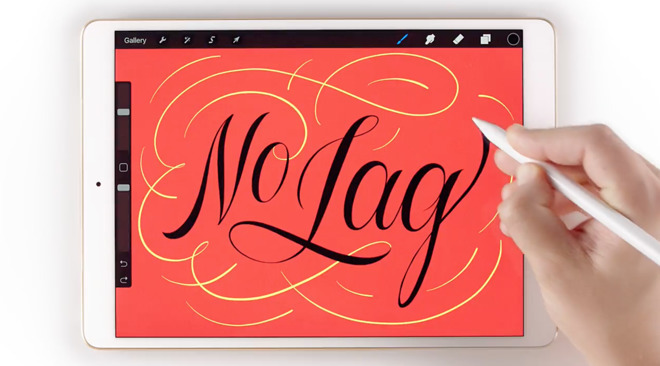 The latest ad, posted on Friday, explains how the Apple Pencil has an almost instantaneous response time when used with the iPad Pro, making it feel just like using an actual pencil. In the ad, the explanation is in response to a doubter on Twitter, who asked what the big deal is about the Apple Pencil. At the end of the ad, the user learns how annoying lag can be. The second ad, posted on Monday, features another user on Twitter declaring to the world that their computer just died. The TV spot then shows the ghost of a Windows PC ascending to the heavens, but not before recommending a new iPad Pro as a replacement. The iPad Pro is shown connected to a Smart Keyboard, being used with an Apple Pencil, multitasking, and editing advanced graphics. "You won't miss me at all," the computer's ghost says, before realizing it left its power cord back down on earth. The new tweet-focused ad campaign has been running since February. The short, humorous ads come in at 15 seconds apiece, and feature real-life depictions of Twitter users holding up physical cards of their tweets. Many of the ads take aim at Windows PCs, or feature users publicly doubting the capabilities of the iPad only to be proven wrong.